Phi Phi Island transportation is unique since there are no cars. Phi Phi Island has no cars, no taxis, no buses, no trains, very few motorbikes and a few bicycles. This fact makes Phi Phi Island a unique destination that many visitors love because of its tranquility. 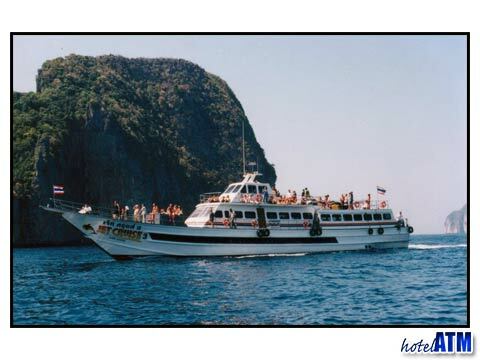 How do you get around Phi Phi Island? You simply put one foot in front of the other, or you take a longtail boat from one beach to another. The island is set up so it is easy to walk around the small villages attached to the primary beaches on the island. You can walk on the foot paths and visit the shops, restaurants, bars and other sites. The absence of cars means the absence of the noises and pollutants that come with being in a location that is full of cars. People are quickly transported into another world once they realize they are on an island that is devoid of cars. You feel as if you have found some unique island paradise apart from the rest of the world…and you have. You can recharge your batteries, commune with nature, get to know your loved ones, get to know new people or just get to know yourself as you enjoy all that this island has to offer. Because there are no cars on Phi Phi Island and because people may want to go longer distances than they are comfortable doing via foot, there are longtail boats that can be taken from one beach to another beach. 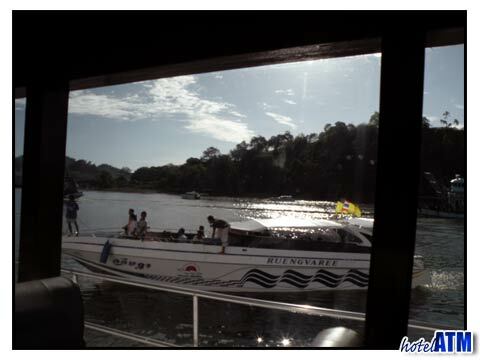 These water taxis are relatively inexpensive and they are a fun way to get around the islands. The boats hold between 6 and 8 people or you can charter one for a smaller group. The cost is relatively inexpensive meaning that Phi Phi transportation is among the most economic transportation of any holiday destination. Imagine taking a holiday to a place with no blaring horns, no squeaky brakes, no sirens, no car pollution - simply fresh air, island sounds and pristine beaches for you to enjoy. That is one of the main reasons people return time and again to Phi Phi Island their holiday destination in paradise.